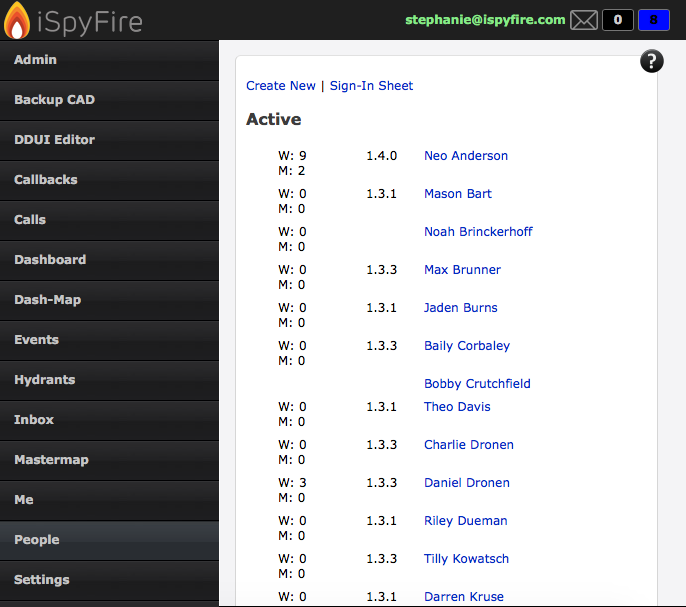 Here is a quick review of the "People" tab in iSpyFire. 2.) "Sign-In Sheet" here is a list of all the personal in your agency, you can print off the page and its all ready for an attendance count. 3.) A list of all personal in alphabetical order to last name. From the people tab you can do many things. You can also update users information like home address, and phone number. 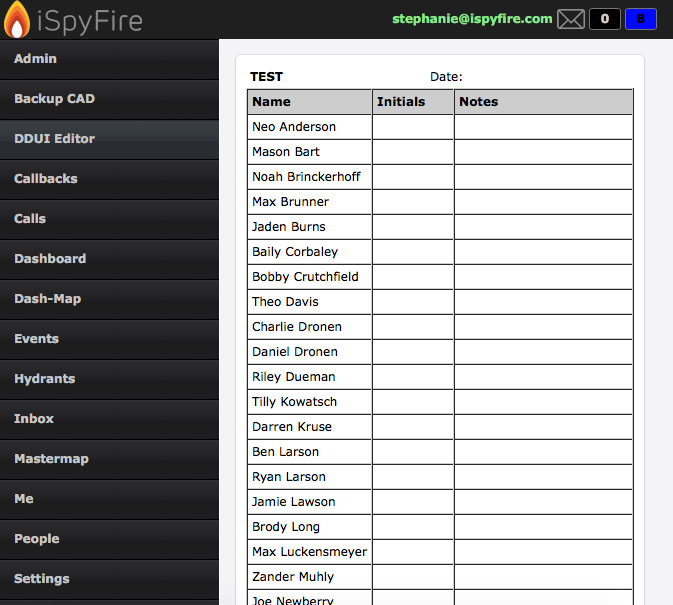 If you want to change a users email you will need to note somethings before hand if the user has multiple iSpyFire accounts (works for two agencies), so for more information on updating a persons email visit Notifications for Multiple Agencies + Fast Agency Switching for more info!